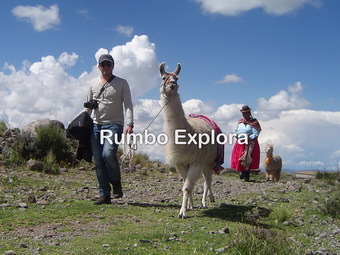 Rumbo Explora established as a licensed tour operator in Peru, cradle of andean civilization. Our operation began in Puno, then we started operating Cusco and Arequipa, backed by 24 hours and 365 days operational support. Our team of specialists is highly trained to meet the demanding market of inbound tourism, planning carefully the tailor made itineraries, ensuring an efficient and professional service. In addition Rumbo Explora is committed with the development of a more responsible tourism and sustainability practices, helping to the communities of Lake Titicaca and Cusco. We take pride in looking after our team and pay our staff such as guides, drivers and boat drivers well above average wages. This allows us to attract some of the best guides, drivers with a long experience, and keeps them working all year around. We have 05 qualified guides working for us and a team with more than 30 years of experience. We are the only company in the region of Lake Titicaca – Peru, with 2 legal permits, besides working with the best speed boats and land transportation with National Scope (Certificate of Statutory Accident Insurance Transit SOAT, besides has vehicle Insurance Policy to all risks in record). Rumbo Explora is focused on classical and non-touristy tours in the Peruvian Andes, since we begin to operate all our tours, we have complete control over the quality of our service. Everyone involved in the operation of our tours is well treated and cared for and that the benefits brought by tourism are shared throughout the Lake Titicaca communities. Our company was the first to offer a varied portfolio of treks, like walking with llamas, starting from the world-famous Lake Titicaca, to breathtaking remote routes, rarely trodden by locals. 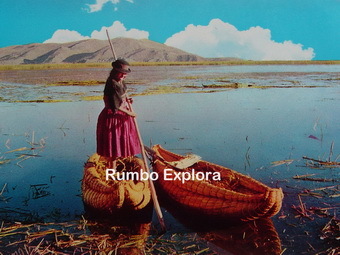 In January 2014, we pioneered luxury tours in the region of Lake Titicaca, as an initiative of our staff, providing the best speedboats & land transportation for our customers that led us to also become one of the best tour operators in the southern Peru, thus surpassing our clients expectations and travel experience. Rumbo Explora employs local people (Aymaras and Quechuas) paying our suppliers 10% over the average rate, every 2 weeks as follow: Tour guides (freelance), tourist transportation (with national permit and insurance police to all risks in record), motor boats (speed & regular boats), and our Inca Trail porters, who are paid punctually at the end of each trek, to put money for helping the local economy. Rumbo Explora does not exploit its employees, our staff receive pensions, health insurance, bonuses, and much more. We treat our employees with the respect that they deserve and expect our office staff and guides do same with our drivers, captains and porters. Our Web Page show the communities of the Lake Titicaca (Puno) and Sacred Valley (Lares route Cusco) and how you can contribute. Our staff of professional guides are well trained and know very well the region of Peru, most of them are fluent in Aymara language which is spoken in the communities of the lake Titicaca, and also Quechua spoken in most of the departments of Peru, in special in Cusco area. As an initiative of our staff, we decided to contribute to the communities of the Lake Titicaca and Sacred Valley. Rumbo Explora promotes some projects like the construction of libraries for rural schools where the beneficiaries will be primary school children, also we are planning to distribute to children some school materials at the start the year and also we are focused on kindergarten projects, in communities of Lake Titicaca (Llachon and Qarina), from Cusco (Urubamba Valley and Lares), coming soon (Colca Valley communities), as our next plan. ¡Peru awaits you! Rumbo Explora invites all of its clients to support our communities located over 4500m above sea level (upper parts of Lake Titicaca) 2 or 3 hours’ by car, where telephone signal is absent, there are only small country houses, the main activity is livestock, perhaps narrow unpaved roads, or only llamas is used for carrying things when people go to the local markets. Place where in winter the temperature gets cold up to minus 20° and 25° degrees below zero, to collect and donate second hand clothes and blankets, places never visited by the government. Perhaps few families have solar power including battery, but most of them use only candles for the night. Alternatively, the donations can be organized with some activities for this visit and experience a trip to the Andes in Peru. Amantani Island, located in the middle of Lake Titicaca, where live 4000 inhabitants, 41 km from Puno city, fishermen and small farmers. Year after year the inhabitants from Amantani have been struggling for a better quality of life, so by participating in this tour you will contribute to the local economy, receiving from them accommodations, meals and an unforgettable experience. A visit to Amantani Island necessarily implies to spend one night, the services are basic, no electricity, just candle or solar power. Our purpose is to be a true help to the local communities with which we work, so this cultural Exchange offered by our company is fascinating between visitors and the local people, sharing and learning with the locals about farming techniques, weaving, spinning, knitting and educational activities. Tours Guides: They are locals and have been carefully selected (In Cusco), majority coming from villages in the countryside, (In Puno) our guides are from the mountain communities (In Arequipa) few tour guides are from the city, most of them from the Colca Valley, (Nazca & Paracas) guides are locals. Drivers: All of our drivers have driving license category A-3C, as in (In Cusco) they are locals, majority coming from the villages from Urubamba Valley, (In Puno) we selected our drivers, and most of them coming from the mountain communities and villages in the countryside, (In Arequipa) some of them are from the Colca Valley and others from villages close to the sea. 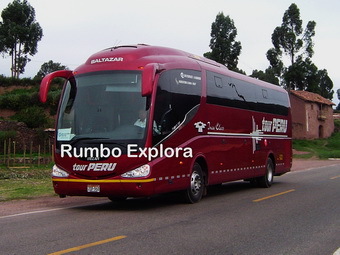 Rumbo Explora is one of the best recognized Tour Operators in the Southern Peru, who pays sales added tax which is 18% (known as IGV = Impuesto general a las ventas), and another tax on profits which is 30% (known as Impuesto a la RENTA). Some local tour Operators do not pay tax, so we think they are not working legally according Peruvian regulations, perhaps that is why their rates are cheaper. Our company recommends to travelers be aware about them, because we sow some cases that visitors paid for TOUR IN PACKAGE, but once they arrived to airport in Peru, no one was waiting for them, they disappeared from the office and nobody knew them, just to avoid declaring their revenue. As all our clients are direct sales by the internet, that is why we pay sales taxes. Currently we do not work with intermediaries or operate treks for overseas tour companies. If you purchase a TOUR PACKAGE outside of Peru, you will pay sales tax in your country. In Peru we call RECEPTIVE TOURISM, if you buy a TOUR PACKAGE in your country from your preferred Tour Operator, and after they send money to some Peruvian Tour Operator, who will actually operate your tour, this payment is exempt from Peruvian taxes, because according the new Regulations in Tourism it is considered as exportation of services (servicios de exportación), and you are not contributing to the Peruvian government (sales tax – IGV), because you will not pay tax twice. Once we buy the entrance permits (in Cusco – Machupicchu) Cusco city, museums & surroundings, Sacred Valley, Inca Trail, Machupicchu, Choquequirao and other sites, (in Puno – Lake Titicaca) Uros , Taquile, Amantani Islands, Sillustani, museums, colonial churches, and other sites, (in Arequipa & Colca canyon) Museums, churches, convents, Colca Valley and other sites, (Nazca & Paracas) Nazca & Palpa Lines, Ballestas Islands, museums and other sites, automatically a copy of the invoice is sent to the government – Office Tax (SUNAT). Share the post "Why Rumbo Explora"